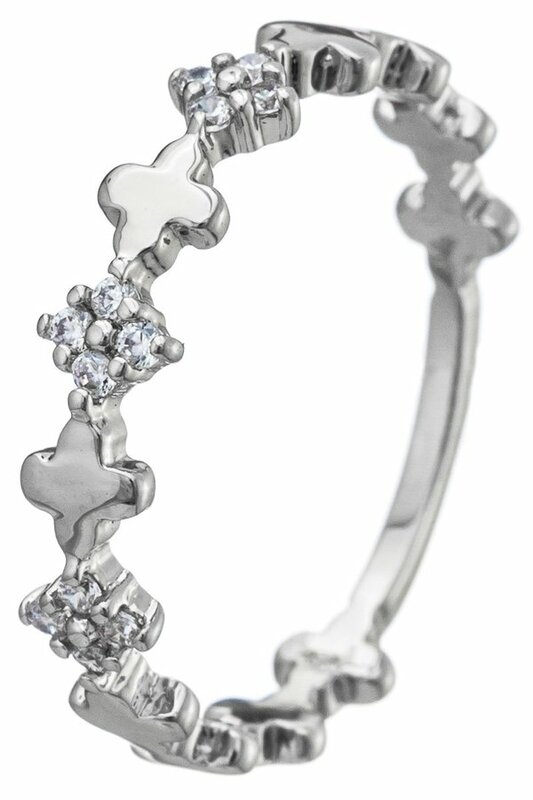 Description: Clover station delicate band with CZ accents. Brass. Size 7.